For my big Sunday blog post, I wanted to write about a couple of my favorite topics I have covered in Don’t Blink before. One is ice cream (here, here, and here) and the other is taste tests. I combined these two joys of mine to create an intriguing and nerdy investigation. Besides the three originals of vanilla, chocolate, and strawberry, there is another major player when it comes to ice cream flavors. Can you guess it? If you even care a small amount about ice cream you know I am talking about chocolate chip cookie dough. It doesn’t matter what brand you buy, what parlor you visit, or what gas station cooler you raid, chocolate chip cookie dough will be offered. It is an institution in the ice cream world. We all know that all ice cream isn’t created equal. Even with vanilla, I could give you three different brands and you would be able to tell a difference between each one. However, with chocolate chip cookie dough, the variations in a scoop of generic product compared with a scoop of the Baskin-Robbins version are numerous. Besides the ice cream itself, you also have the quality of the cookie dough, the amount of cookie dough per serving, the size of the cookie dough, and the quality/amount of the chocolate chips/chocolate chunks. 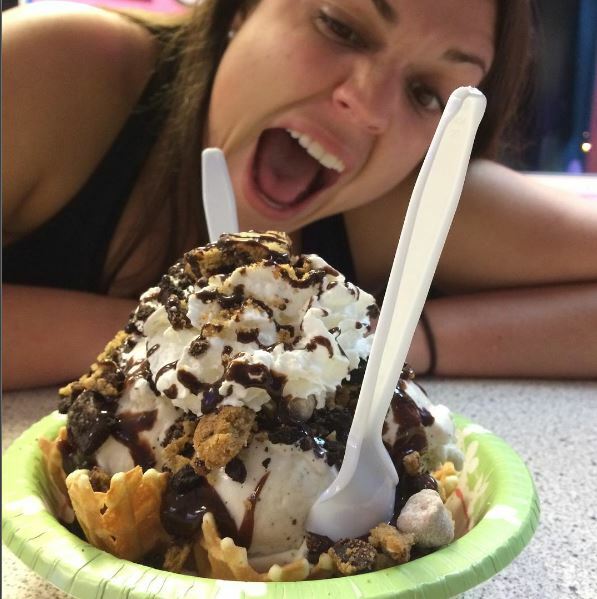 An incredible cookie dough ice cream sundae Sidney and I once devoured. So while the perception is that the premium brand of chocolate chip cookie dough ice cream is superior to the generic brand of chocolate chip cookie dough ice cream, I wanted to test it out to be 100% sure. Today I went to a couple different stores and bought five different chocolate chip cookie dough ice creams. Representing the generic group, I purchased the Great Value Wal-Mart brand and the Lowe’s Foods brand (for those out west, Lowe’s is a major grocery chain out here on the east coast). Representing the premium brand, I bought Ben & Jerry’s (how couldn’t I?) and Blue Bunny. Representing the middle of the line so to speak, I also bought a tub of the Breyers stuff. 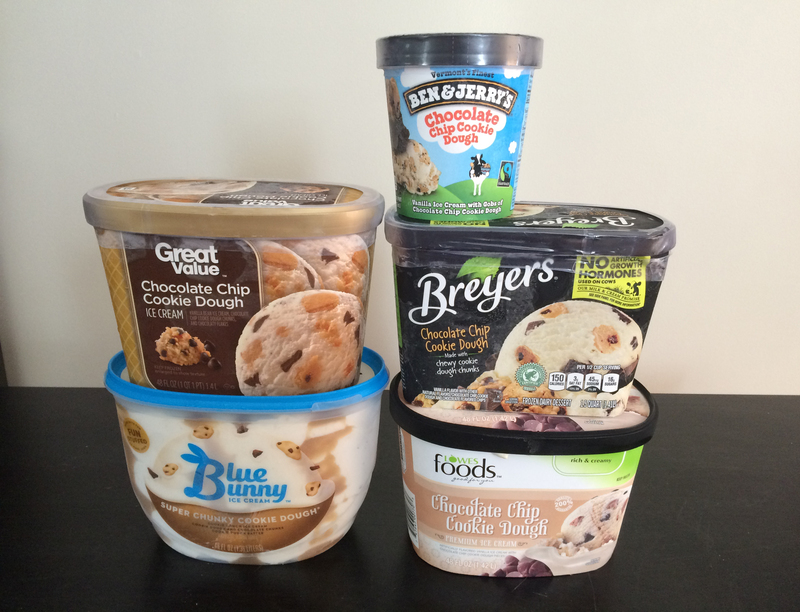 This is the lineup of different cookie dough ice creams I bought this morning. Striving to be completely scientific and unbiased, I had Sidney serve as my official taste tester. I served a small scoop of each ice cream to her in an unmarked paper bowl. I then asked for her input! Going in order starting with the best, here is how Sidney ranked each chocolate chip cookie dough ice cream along with her comments on each. #1. Great Value (tasted first) – In an absolute shocker, Sidney identified the Wal-Mart brand cookie dough ice cream as her favorite. 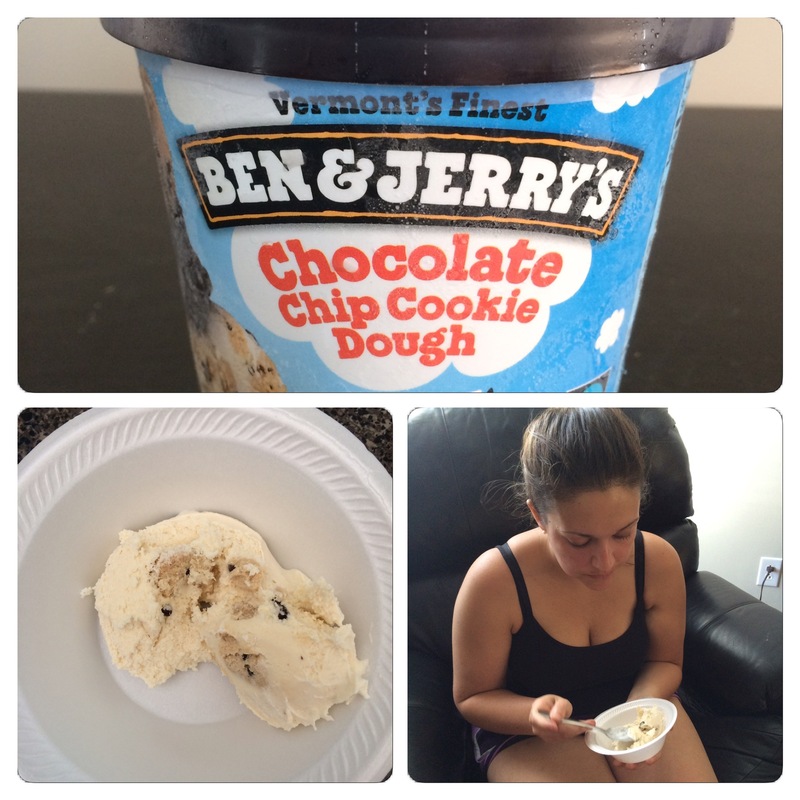 She said the ice cream was creamy and the cookie dough very tasty. She adamantly thought that the Great Value brand was Ben & Jerry’s. 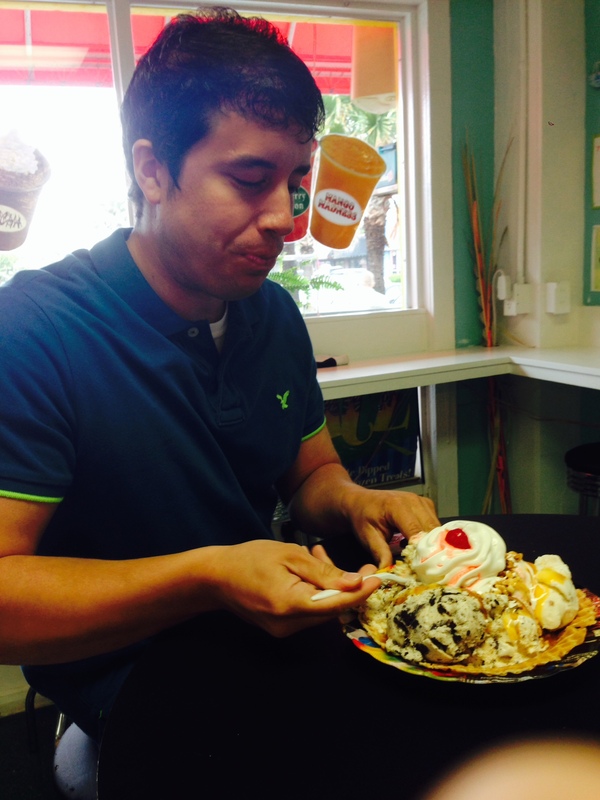 At under $3 per gallon, the Great Value ice cream was by far the least expensive but according to Sid’s taste buds it was the best! In the surprise of the century, Sidney liked the Great Value cookie dough ice cream the best. #2. Lowe’s Foods (tasted third) – Continuing the surprising results, the Lowe’s Foods chocolate chip cookie dough dairy dessert was rated second best by Sidney. Although she commented that there was only a fair amount of cookie dough pieces in the dessert, she liked the vanilla ice cream the most out of all the selections she tasted today. So there you have it, two generic brands take the top two spots. Coming in second place was the other generic brand, Lowe’s Foods. #3. Blue Bunny (tasted fourth) – Although the Blue Bunny brand is third on the list, it is number one for presentation. 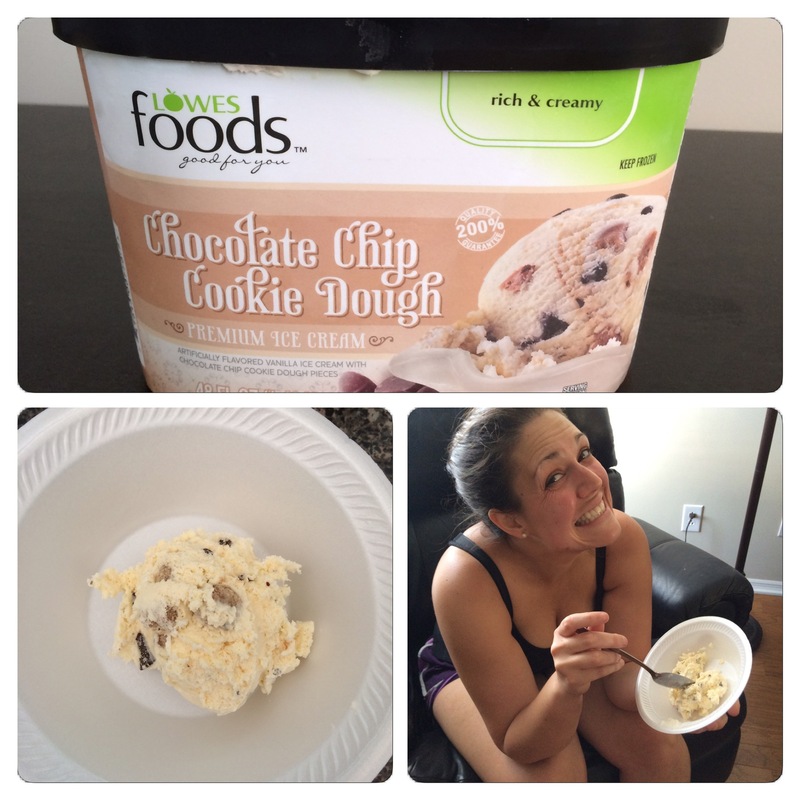 When you open up the tub, the ice cream is molded into little hills mixed with cookie dough swirls. It makes for easy scooping. 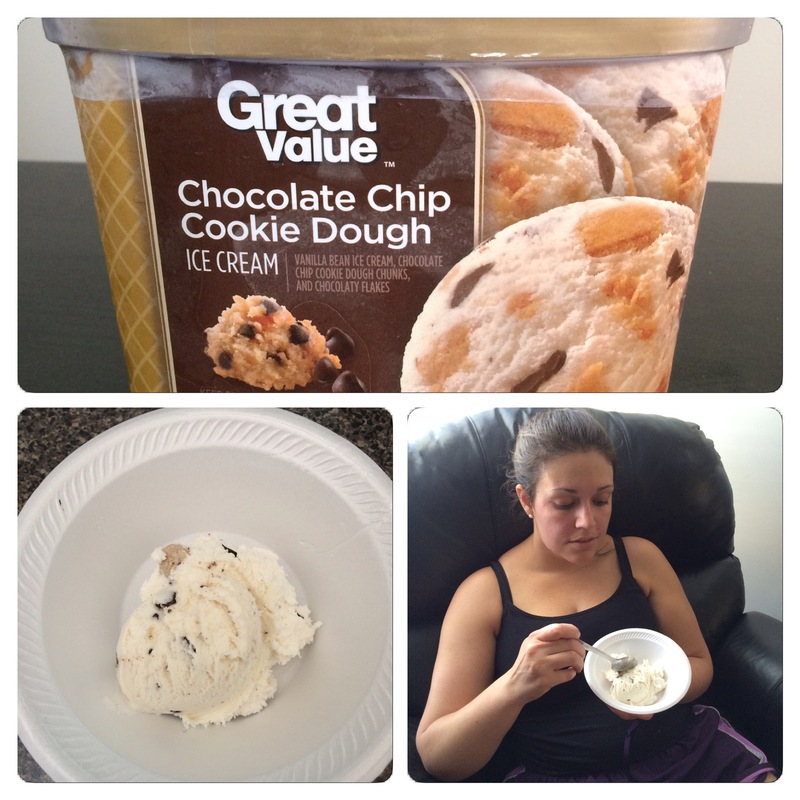 Sidney said the ice cream tasted similar to the Great Value version but it just didn’t have enough cookie dough. Also, Sidney thought the cookie dough swirl was a caramel swirl. 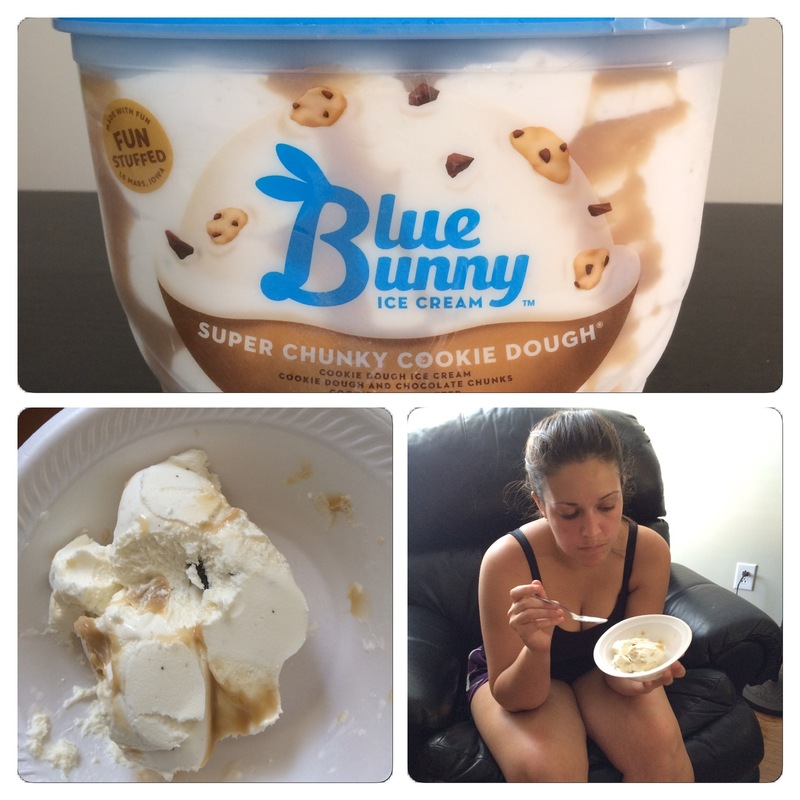 Additionally, Blue Bunny says the ice cream is cookie dough flavored but it really just tasted like vanilla. In the middle of the pack was ice cream powerhouse Blue Bunny. #4. Ben & Jerry’s – If you told Ben or Jerry that their ice cream finished behind Wal-Mart and a couple other brands, neither would be very happy. However, it is what it is. While Sidney gave them points for having the largest pieces of cookie dough, it didn’t make up for the fact that the pieces were too few and far between. But get this, she was less than impressed with the ice cream itself. Sidney said the vanilla ice cream tasted artificial, a major slap in the face to a company that prides itself on being all-natural. In a million years I never thought Ben & Jerry’s would be so low on the list. #5. 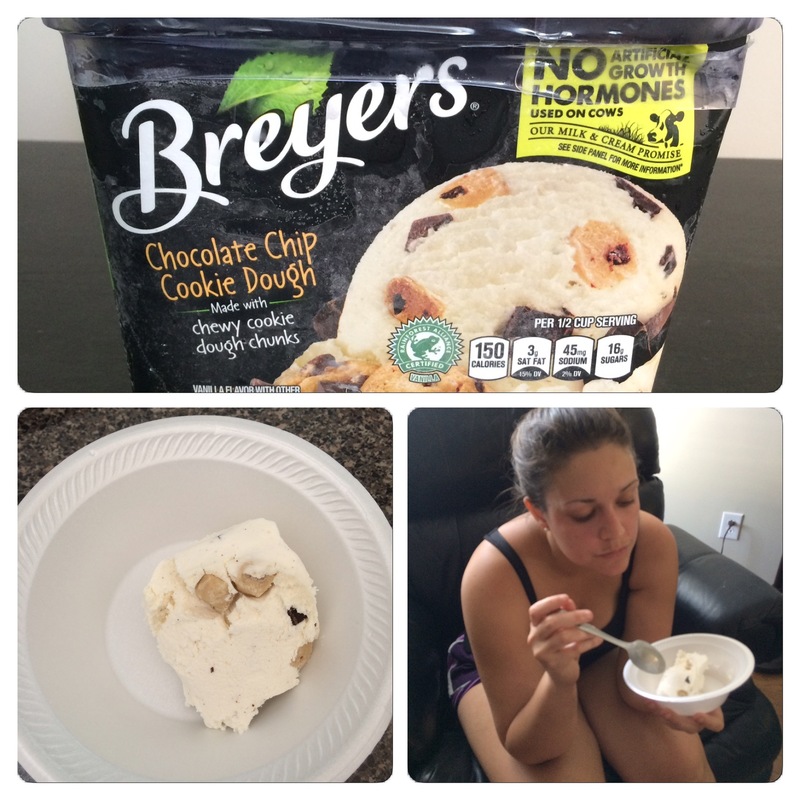 Breyers – In the past I have praised this ice cream brand but it didn’t live up to my praise in the blind taste test. Sidney thought the ice cream tasted the most artificial out of them all. She commented that the small pieces cookie dough just didn’t taste very good. She also noted the lack of both cookie dough and chocolate chunks in the dessert. It was a bad day for Breyers. Bringing up the rear was Breyers. So now we have four gallons of ice cream plus a pint (Ben & Jerry’s) in the freezer. Brenda and Steph, if you are reading this, please come over and take some ice cream off our hands. Hope everyone enjoyed the review. Again I will reiterate that I was surprised by the results. I guess it is never smart to immediately discredit generic brands. Don’t Blink. This entry was posted in Uncategorized and tagged Ben & Jerry's Chocolate chip cookie dough ice cream, best chocolate chip cookie dough ice cream, Breyers chocolate chip cookie dough ice cream, Chocolate chip cookie dough, chocolate chip cookie dough ice cream, generic chocolate chip cookie dough ice cream, Great Value chocolate chip cookie dough ice cream, Lowe's Foods chocolate chip cookie dough ice cream by brent. Bookmark the permalink.